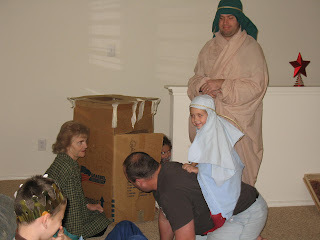 We reinacted the nativity scene with the cousins at Jackie and Dax's house Christmas Eve. 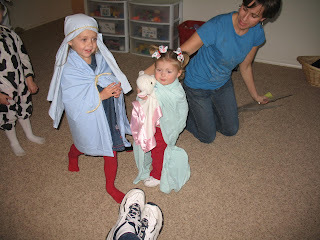 Jaeden was very excited to be Mary, and Dan Joseph. 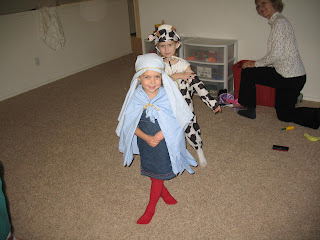 We tried to get Avery to be a little shephard but she didn't stay dressed very long in her costume. I think the favorite character by the kids was Dax being the donkey. Love, love, love it! We did this when I was little. 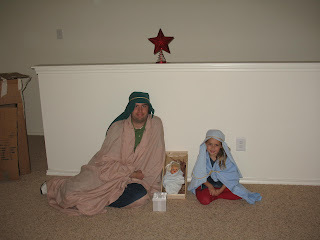 I liked dressing up to act out the nativity.